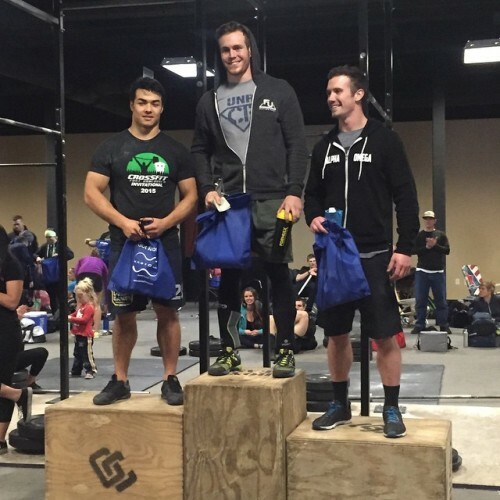 Very proud of Pearce Dermody for taking first on the podium this weekend at the Oregon CrossFit winter games placing first 4 out of 5 events for the weekend. This is a great way for us to get geared up moving into the CrossFit Games season just around the corner! Pearce Dermody, owner of CrossFit 4500, and I have been working together since post Regionals 2013 to get him prepared for this upcoming Games season 2014. It’s been a fun year of guiding Pearce through improving different avenues of his fitness. Coming into this season stronger and with a better engine, we’re looking to have some fun times! Congratulations to Pearce for PRing his clean twice today. The first at 320lbs/145kg and the second at 335lbs/153kg for a total of a 20lbs lifetime PR. Excited to start the Open! Are you ready?